Managing finances may sound like something easy. However, if you put it down and think about it carefully, it may appear to not as simple. Managing your accounts has many benefits. It is not just about spending and saving alone. Managing your accounts places you in a better position to manage your life. It shows you are responsible and you can command trust from other. Your life will be so much easier if you are well managed. In this article, a special focus is placed on a few ideas that can make you a good manager. Have you kept an eye on your credit card? Do you know how much you use daily? Do you know what you spend on medical and food in the previous month? If you can give an account of these, it means you have a well-managed expenditure. If you can measure your expenditure, you can manage it. There are many applications that one can use as a monitoring tool for expenses. 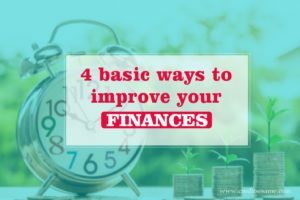 With such applications, you have an easy way to keep track of your expenses and thus you will get better control. Managing your finances include regularly checking on your credit cards to ensure you are free from identity thieves. Services like credit sesame can send you daily reports to keep you updated on what may be happening to your credit card. Keeping a high credit score is keeping a healthy financial life. Such credit monitoring services will give you a better future for your finances. Apart from managing your credits, they ensure that you don’t experience identity thief problems. Your credit information is very important and monitoring any activities related should be priority. You can check out creditsesame.com for more information. While working or doing any income generating activity, ensure you stash some cash somewhere. Even if you are not a great saver, make sure you have some cover. Ensure that the money to put aside can enable you live comfortably for at least three months. There is a possibility you may never have to use the money, but you feel safe just knowing it is there. You never know when you might need to get to it. Need may come at the worst time when you least expected. The best way to improve your finances is to set clear goals. Define what you want to do and set clear methods through which you want to do this. Have both short term and long term financial goals. Your long-term goals make your bigger picture viable and ideal. Once you have stated what you want to do in 5 or 10 years, go back and consider what you will do in a year. Both categories depend on each other. Achieving the shorts term goals sets you on the path to achieve long term. If you have any comment and/or input, please feel free to leave your comment.